Very Good. 0140569324 ALL BOOKS SHIPPED WITHIN 1 DAY OF PURCHASE! Very Good. 0241141060 ALL BOOKS SHIPPED WITHIN 1 DAY OF PURCHASE! Very Good. 0140500871 ALL BOOKS SHIPPED WITHIN 1 DAY OF PURCHASE! Good. 0140569324 ALL BOOKS SHIPPED WITHIN 1 DAY OF PURCHASE! Good. 0241141060 ALL BOOKS SHIPPED WITHIN 1 DAY OF PURCHASE! Good. 0241003008 ALL BOOKS SHIPPED WITHIN 1 DAY OF PURCHASE! Eric Carle has always been a favorite of myself & my sons. 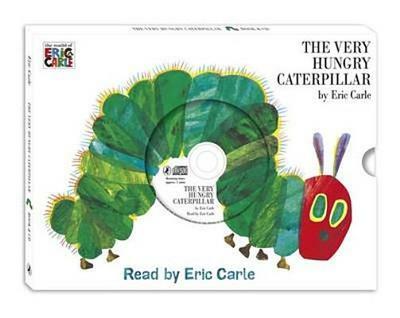 The Very Hungry Caterpillar was the very first Eric Carle book we purchased way back when. The artwork & storyline are fantastic & it teaches many things - days of the week, numbers, colors, different edible food, & changing from a caterpillar to a beautiful butterfly. A children's classic you will not regret adding to your collection. & then start looking for other Eric Carle titles. This is a charming, colorful picture book for youngsters. I highly recommend it. When I got this book I thought it would be small, but did not realize (stupidly) HOW small. My old eyes have a harder time reading this to him! Still a great book and one that he enjoys... especially learning all about what the caterpillar eats on Saturday.